One of my favorite movie snacks! 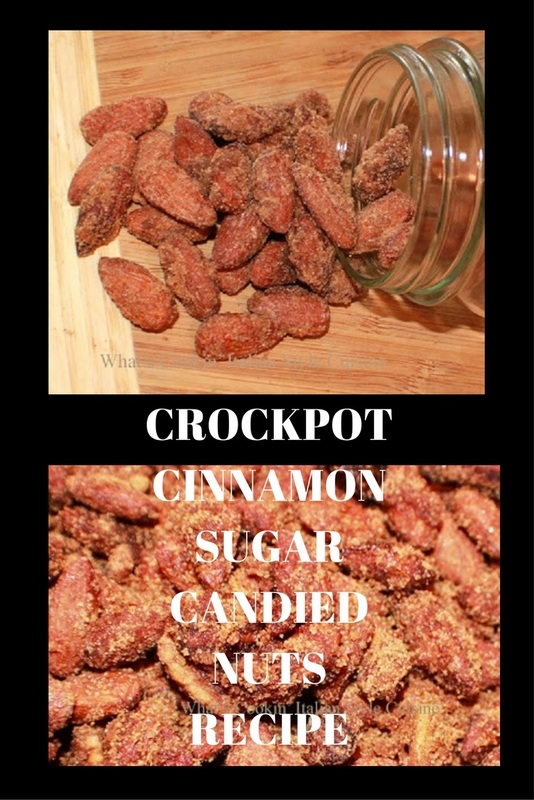 Who could resist these wonderful candied nuts and here is the best way to make them in a crockpot! I even used a crockpot plastic liners and they worked great no mess! I was was so surprised nothing stuck! Great for Holiday gift giving too! Put them in little mason jars, your friends and family will love these! We make these every year a delicious tradition! Blend together in a bowl both sugars adding the cinnamon and salt set aside. In another bowl, add the egg white with vanilla beat till frothy. Add the almonds and mix evenly, then add the cinnamon mixture, stirring all together until well coated. Butter the crock pot or use the plastic liners and add butter flavored cooking spray to the liner also. Pour the mixture into the crock pot turn it on low. Cover and cook on low 3 to 4 hours stirring every 15 to 20 minutes. Around an hour before completed add the 1/4 cup water and mix well. 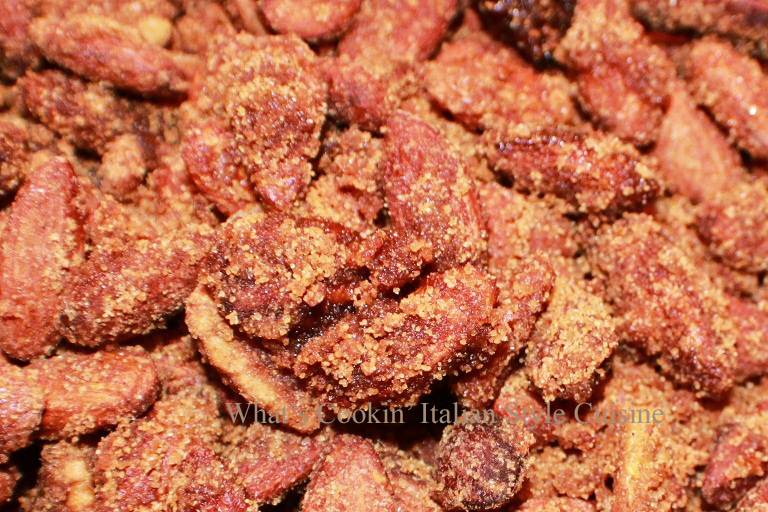 Cook nuts one hour more after adding water stir every 15 minutes or until the sugary mixture starts to look dry and cling to the nuts! That's it. The danger with this is you can't stop eating them! I am definitely making these for Christmas. Thank you Claudia, for this traditional holiday recipe that I usually 'purchase' from SC businesses. I'd rather make these myself and thank you for sharing your recipe! Buon Natale, cara amica!!! 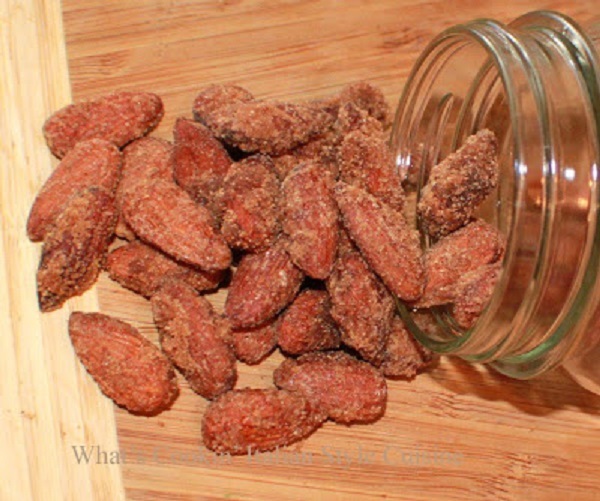 I was just thinking today of making some pecans…these are always such a hit! lovely looking! This recipe looks delicious. I can't wait to try it.